THE COMPANY behind the UK’s leading multi-retailer gift card has been recognised in the UK’s only awards for customer and employee engagement. The Gift Voucher Shop (GVS), which produces the One4all Gift Card, has been shortlisted as a 2017 Engage Awards finalist in the Best Employee Reward and Recognition Strategy category. GVS has been nominated for its custom-built Instant Rewards system, which allows staff members to reward one another with ‘Spotlight points’ under categories including ‘Great positive attitude’ and ‘Teamwork support’. Using this bespoke system, employees can accumulate points then convert them into One4all Gift Cards or even additional time off. In addition to rewards points, staff members can leave positive comments for their colleagues explaining why they deserve praise or recognition. These comments are seen not only by the recipient but also the entire managerial team, ensuring that great work does not go unnoticed. As a leader in the employee rewards and incentives industry with their One4all Rewards service and products, GVS wanted to introduce a new system that would engage staff and shine a spotlight on employees in an intuitive and smart way. Two years after its introduction, the Instant Rewards system has been roundly praised by staff for its convenience and flexibility, as well as its positive effect on the workplace. The Gift Voucher Shop’s nomination for an Engage Award further reinforces the success of the scheme. The Gift Voucher Shop’s signature product, the One4all Gift Card, is itself a popular and convenient employee rewards product. 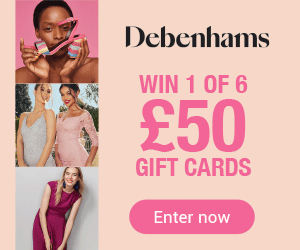 The gift card can be spent in more than 50,000 stores nationwide and online - including John Lewis, Marks & Spencer, Debenhams, House of Fraser, Amazon and Argos, and is available as an employee and customer incentive via One4all Rewards, the business’ rewards and incentive division. 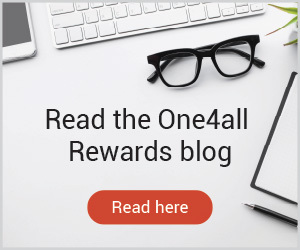 One4all Rewards currently provides rewards and incentives schemes to more than 6,000 businesses in the UK to transform employee and customer relationships. The Engage Awards, organised by Engage Business Media, encompass all areas of excellence within customer and employee engagement, with the finalists across the 14 Awards categories spanning every single industry sector. “We are delighted to have been recognised for the strength of our employee rewards system. Since the introduction of Instant Rewards we have seen a marked increase in staff morale, motivation and productivity, with hundreds of rewards being gifted every month. This new system democratises employee rewards, giving our staff the opportunity to deliver a meaningful thank you to their colleagues on a regular basis. This year’s Engage Awards winners will be announced in a glittering ceremony at the Westminster Park Plaza Hotel on Monday 13th November, attended by hundreds of customer and employee engagement professionals and hosted by Jo Caulfield. The One4all Gift Card is the market-leading, multi-retailer gift card, popular for the choice it offers customers, and is currently accepted in store and online at more than 60,000 stores nationwide.